A few weeks ago, I visited a popular, Toronto restaurant, that has been around for many years….Country Style Hungarian Restaurant. It’s a cozy Hungarian restaurant located at 450 Bloor Street West, and should not to be confused with the larger donut chain, Country Style. Country Style Hungarian Restaurant has been around for over 50 years as a family-run business. It’s an old-school restaurant with classic red and white checkered tablecloths and wooden chairs and tables. They’re famous for their schnitzel, but some of their other go-to dishes include cabbage rolls and perogies. They of course, also have goulash soup and cucumber salad, and their wiener schnitzel is absolutely to-die for. Aside from ordering a la carte, they also have a delicious platter prepared for two or four, which comes with a variety of meats, sausages, and potatoes. For those who are less hungry, there are shnitzel and chicken sandwiches. If you’ve saved a little room, they have great desserts including palacsinta…a Hungarian-style crepe with chestnut puree, as well as apple and cherry strudel. All of their desserts are tasty and most are homemade. Lastly, one of my favourite items on the menu is their raspberry soda…..a cold drink that is somewhat different from most pops. Their food always comes out hot, fresh, and very quickly, and in addition, the service is great. All of the waiters are friendly and helpful, and if you ask for sauce on the side or other dietary requests, they are very accommodating. I find the restaurant is busy at any time, especially on Thursday, Friday, and Saturday nights, but you usually do not have to wait too long to be seated. After dinner, if you want to listen to live music, there’s are some bars in the area, as well as live theatres, all of which are accessible via public transit. 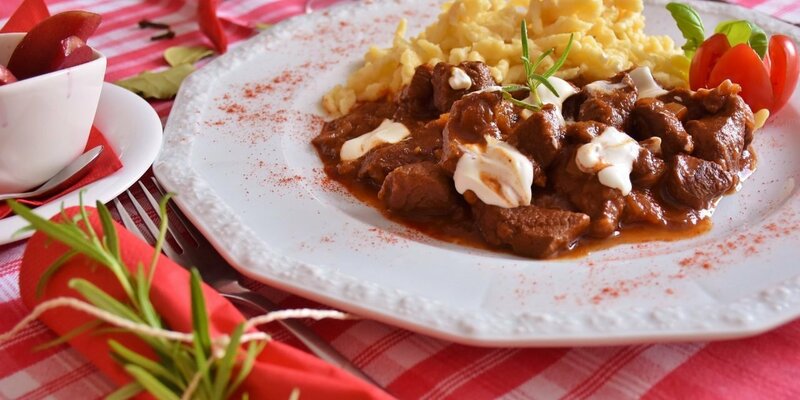 If you’re looking to experience a different, homey kind of restaurant, head on over to Country Style Hungarian Restaurant…you will not be disappointed.